One method of drastically improving load times is to use a static site for your mobile content. This approach might not work for all sites, but for sites that can generate the content in advance, it can work very well. 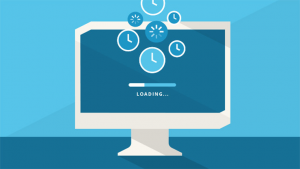 Some sites online dropped load time by as much as 75% when switching to a static site. How do sites deploy a static site? The process involves updating a staging site that is dynamic. Another process then converts that site into a static website. Once you deploy a static site, you can then look at optimizing the other elements of the site like images, scripts, and other components. Note that the 75% improvement above was only from the conversion to a static site. No other element was optimized. Finally, look at the critical render path event of a site. The critical render path is a series of events that lead to the page appearing in the browser. Anything in that path can delay the process and cause the browser not to render the page, even when all the other elements are in memory. When you look at the path, you can easily identify what is delaying the process.